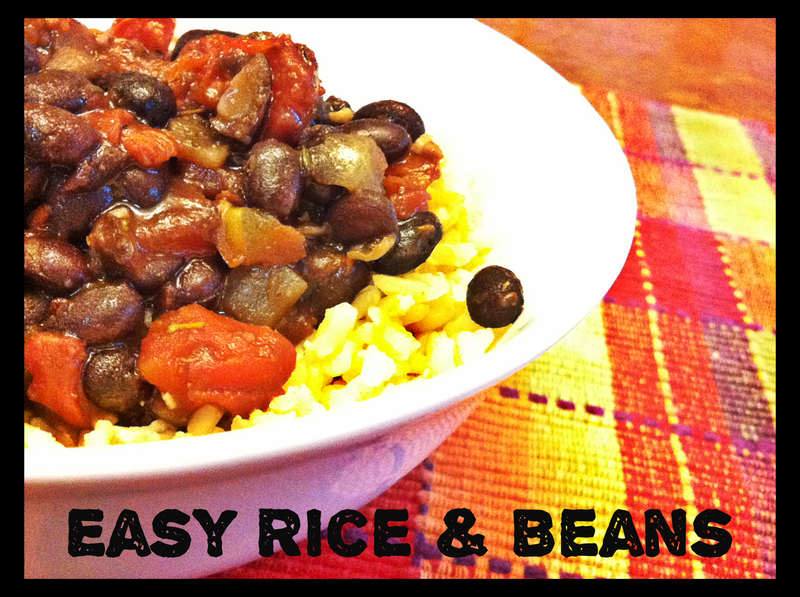 But one thing I’m not sure of… is it “Beans and Rice” or “Rice and Beans”??? Heat large skillet on the stove at medium-high and heat the olive oil. Saute the onion and garlic for a few minutes until crisp tender and then stir in RO-TEL and thyme. Let it cook for about three to five minutes while the juices cook out. 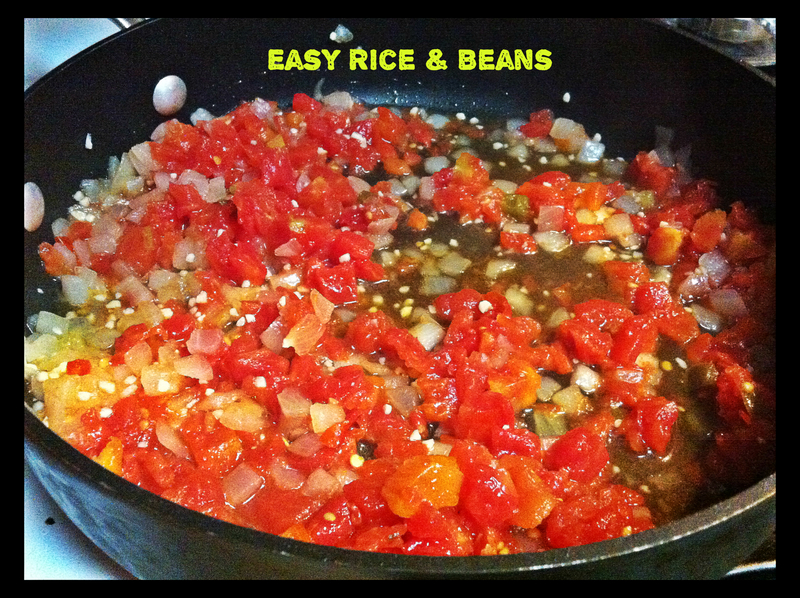 Stir in beans, hot pepper sauce, and cumin. Lower heat to medium and let simmer for 7-8 minutes, stirring once. 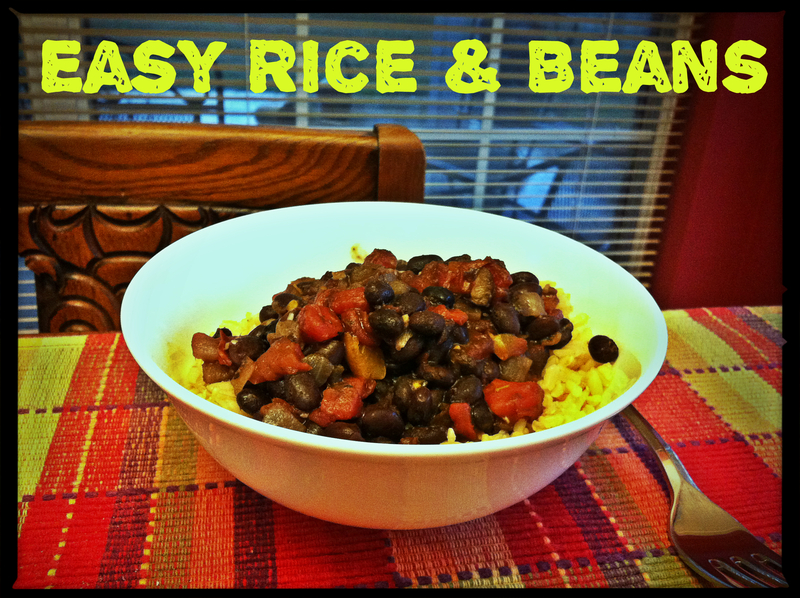 Serve over rice and top with lime or avocado! Oooooo, I was so happy to see all the bright red tomatoes! I bet this would be even more beautiful with the homemade RO-TEL! Yummy, yum, yum said the hubs! Looks yummy! You know what else would be awesome on top? A quick mango salsa. Chop some mango, throw in some corn, pineapple, red onion, lime juice, fresh chopped cilantro, salt and pepper and you’ve got a cool, refreshing complement to the heat of the Ro-Tel and hot sauce. Still add the avocado, of course. Excellent idea!!! That would have been a great balance! I’ve been craving mango lately anyway! Maybe I’ll just remake it next week so that I can use your suggestion!